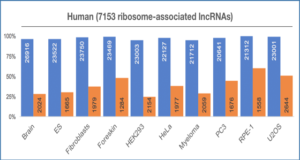 Long non-coding RNAs (lncRNA) are a major class of non-coding RNAs. They are involved in diverse intra-cellular mechanisms like molecular scaffolding, splicing and DNA methylation. 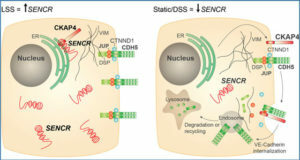 Through these mechanisms they are reported to play a role in cellular differentiation and development. They show an enriched expression in the brain where they are implicated in maintaining cellular identity, homeostasis, stress responses and plasticity. Low sequence conservation and lack of functional annotations make it difficult to identify homologs of mammalian lncRNAs in other vertebrates. 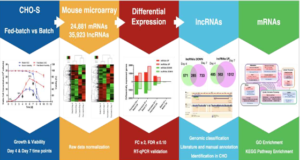 A computational evaluation of the lncRNAs through systematic conservation analyses of both sequences as well as their genomic architecture is required. 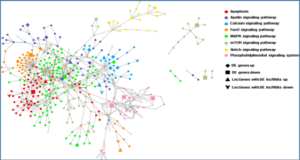 Using ROC analyses, researchers at the Laboratory of Animal Physiology and Evolution, Italy were able to define a measure to select significantly conserved lncRNAs. 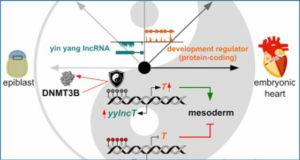 Their results show that a subset of mouse candidate lncRNAs could be distinguished from random sequences based on their alignment with zebrafish phastCons elements. Indeed, starting from ~2,800 mouse lncRNAs they could predict that between 4 and 11% present conserved sequence fragments in fish genomes. Gene ontology (GO) enrichment analyses of protein coding genes, proximal to the region of conservation, in both organisms highlighted similar GO classes like regulation of transcription and central nervous system development. The proximal coding genes in both the species show enrichment of their expression in brain. In summary, they show that interesting genomic regions in zebrafish could be marked based on their sequence homology to a mouse lncRNA, overlap with ESTs and proximity to genes involved in nervous system development. Conservation at the sequence level can identify a subset of putative lncRNA orthologs. 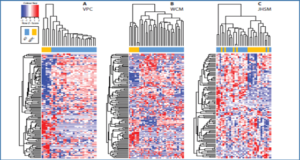 The similar protein-coding neighborhood and transcriptional information about the conserved candidates provide support to the hypothesis that they share functional homology. The pipeline herein presented represents a proof of principle showing that a portion between 4 and 11% of lncRNAs retains region of conservation between mammals and fishes. This study will result useful as a reference to analyze the conservation of lncRNAs in newly sequenced genomes and transcriptomes.